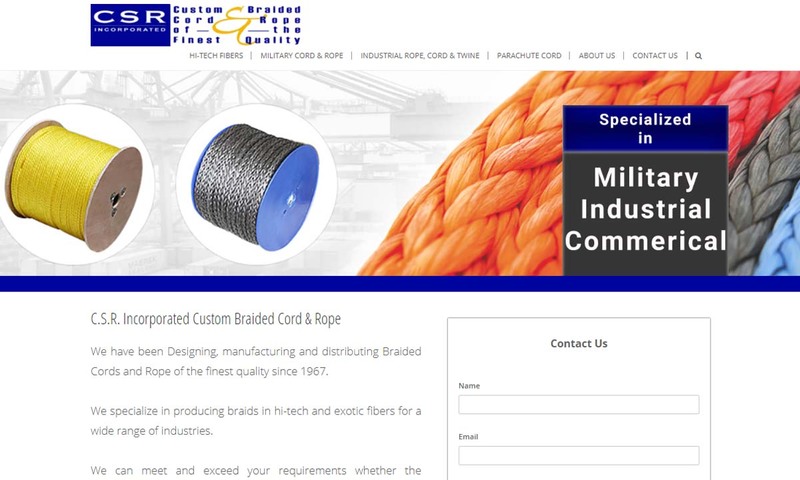 A reliable source for Rope Suppliers information and a resource for accessing leading Rope Suppliers and suppliers. Rope is a highly versatile cordage that has been in use since prehistory. It is composed of fibers twisted together to make strands, which are then braided together to make rope. Note: depending on the details of the rope, the terms rope and cordage are interchangeable. Rope Rope is a highly versatile cordage that has been in use since prehistory. Since our beginning in 1967, we have had experience designing, manufacturing and distributing the highest quality braided ropes and cords. Braided ropes and cordage are produced in all common fibers. We are the cordage and rope manufacturer to seek for nylon rope; polypropylene/polyester combination; polypropylene rope; sisal, manila and cotton rope; diamond, double and solid braided ropes; elastic shock cord; or cotton and synthetic twine. R&W Rope is a family owned and operated distributor of rope and cordage since 1985. 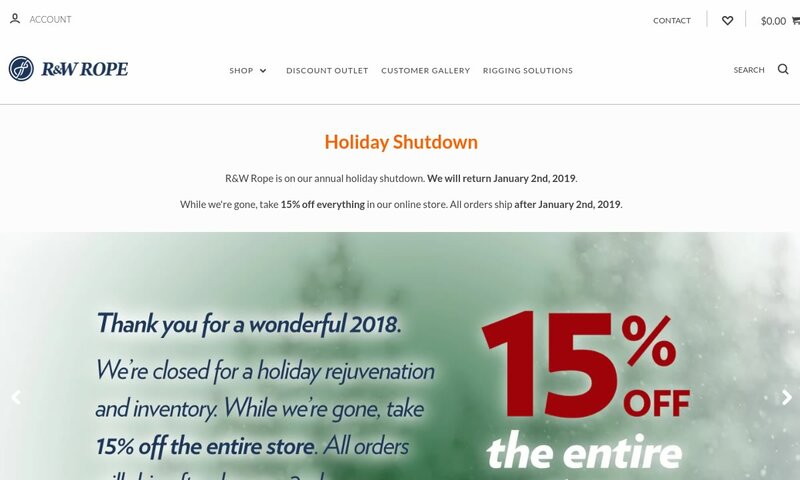 Our mission at R&W Rope is to make our customers happy; we do this by having the best value, quality, and service available. Samson Rope Technologies can supply you with braided rope, nylon rope, sash cord, safety and utility rope, fishing rope, marine rope and rope and cordage for general use. Knot & Rope Supply is the leading supplier for all types of rope and the tools to work with rope. We have rope for boating, forestry, climbing and more. From cotton and nylon rope to polypropylene rope, we have the rope you need. We’re not sure when rope first came into being. The earliest evidence we have of what is likely rope made by humans comes from Europe about 28,000 years ago. This evidence is simply the impression of cordage on pit fired pottery. Another example of prehistoric rope was found in the famous Lascaux Cave in France. There, archaeologists discovered fossilized fragments of two-ply rope that was about 7 mm in diameter. It dates back to about 15,000 BC. Prehistoric people hand twisted and braided very early rope like this from plant materials, like grass and vines. The first people to really develop ropemaking as a craft were the ancient Egyptians. Between around 4000 and 3500 BC, they used special tools to construct ropes made from a variety of materials. This tool consisted of what was likely a weighted wooden object, such as a paddle, tied to a stick. To use it, ropemakers tied fibers to the weighted object and spun it around the stick. This allowed the fibers to twist into strands. They would then spin the new strands in the opposite direction, in order to twist them together into rope. The Badarian culture of Upper Egypt made the earliest of these ropes from water reed fibers. Other fiber materials that Egyptians used to make cordage include date palm, papyrus, rushes, wild reeds, halfa grass, esparto grass, and flax. Occasionally, they used animal fibers like camel hair or leather. Egyptians used their ropes for a variety of tasks, but they’re most well-known for using hoist rope to lift stones during monument building. The next people to make secure a line in rope history were the ancient Chinese. They popularized the hemp rope, which they first started making around 2800 BC. By around 1000 AD, the native peoples of the modern-day American Southwest were also making rope. They used a process quite similar to that of the Egyptians. During the Middle Ages, people used rope extensively. We do not know a lot about their methods, though, because they were made by guilds that guarded their craft as secrets. Based on an artist’s rendition of ropemaking from 1393, we believe that the first step to ropemaking at this time was spinning yarn. We do know many of the applications for which they used rope, though. Some of the most common rope applications of the Middle Ages and Renaissance included rope bridges, ropewalks, and sailing. Also, by this time, sailors and shipping merchants knew how to splice ropes. In 1792, British inventor Edmund Cartwright invented the Cordelier, a ropemaking machine. His invention was not an isolated idea, though, and many other people of the Industrial Revolution made their own rope machines. Since then, rope continues to be important. One of the biggest differences between modern rope and rope of earlier times is the fact that manufacturers can make it with so many different materials. While natural ropes are still somewhat common, steadily since the 1950s, they have largely been replaced by ropes made with synthetic materials designed to better weather their applications. Modern rope materials can resist all sorts of perils, like rot, corrosion, unraveling, and weakening from the sun. Modern ropes are also quite strong and light. Rope suppliers craft rope from a variety of different synthetic and natural fibers. Examples of synthetic rope fibers include nylon, polyethylene, polyester, polypropylene, Kevlar and the like, and examples of natural fibers include sisal, jute, manila, linen, and cotton. They can also be made from metal wire. 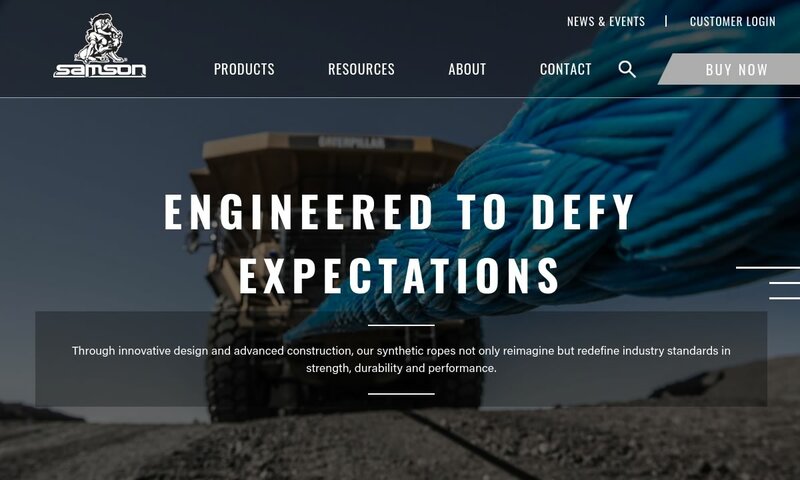 Material variety like this allows rope suppliers to make ropes that fit many different application requirements related to stretch, resilience, and chemical and exposure resistance. There are two main types of rope construction: braiding and twisting. Though historically twisting has been the most common form of rope construction, over time, rope braiding has risen to the top spot. This popularity is due to its ability to stay true to its form, rather than spin or untwist, while holding a load. Rope may be braided using one of these styles: diamond with cores, hollow diamond, and solid braid. 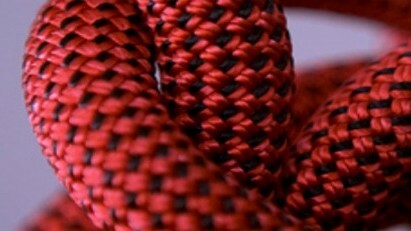 A diamond braid core is solid material positioned in rope’s center, underneath its braid, that increases rope strength. Hollow diamond braid ropes do not have this core, but are rather manufactured simply through the weaving of strands over and under each other. Solid braided rope has a tightly woven lock-stitched construction that resists unraveling, even when cut. Finally, double braided ropes have both a braided rope and core. They are the strongest and most expensive braided rope available. Note that neither solid braid nor diamond braid cores can be spliced. The second rope construction method, twisting, involves coiling, or twisting, three-plus strands tightly in the same direction, using strand fibers that are twisted in the opposite direction. Counter-twisting is healthful, reinforcing strength and creating a balanced rope that will hold together without kinking. After the strands are twisted, rope suppliers fuse each rope end to deter unraveling. 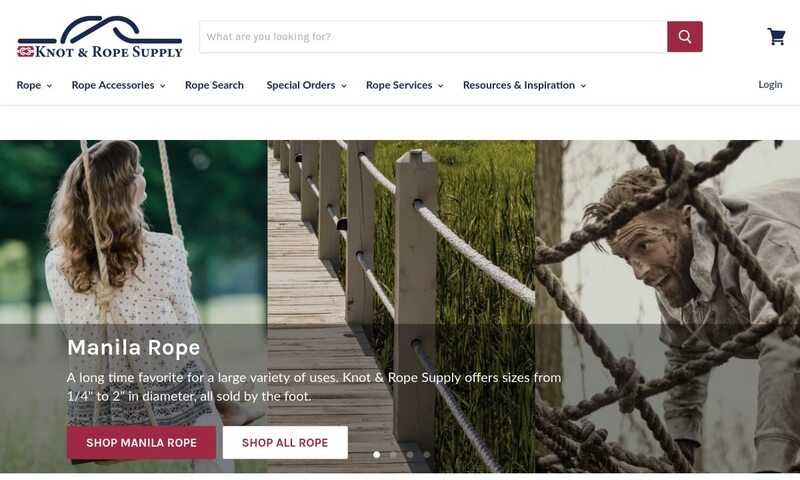 When designing rope or helping customers select a rope, manufacturers consider application specifications like the physical environment in which you will use the rope (in saltwater, during mountain climbing, in the hot sun, etc. ), how you plan to use the rope (hoisting, tying, anchoring, etc. ), how often you will use the rope, the maximum and minimum loads you will put on your rope, and the safety requirements of your rope. Based on these specifications, they will decide on things like rope material, elasticity (static rope vs dynamic rope), rope construction, rope weight, and rope length. Nylon rope, not be confused with elvenhair rope, offers high elasticity, good shock absorption, high strength, and longevity. In addition, it is resistant to damage from the sun, chemicals, and abrasive action. For these reasons, it’s quite popular with applications related to lifting and towing. Polyester rope is less elastic, less shock absorbent, and has a shorter lifespan than nylon rope. However, since polyester has a superior chemical damage resistance, weathering resistance, and abrasion resistance, polyester rope is one of the most commonly used ropes in the boating industry. Polypropylene rope stands alone as the only synthetic rope variety that floats, and is therefore used widely in watersports, light watercraft mooring, and in pools. However, polypropylene rope cannot be used for more heavy-duty tasks because propylene has the lowest melting point and UV resistance of all rope material types. Polyethylene rope is a synthetic rope known for resistance to abrasion, and similar to polypropylene rope, its ability to float. It is mainly used in fishing. Sisal rope is a medium tensile strength natural fiber rope made from agave fibers. It is used for gardening, bundling, and other knot-holding related applications. Manila rope, made from abaca leaf fibers, is much stronger than sisal rope. Because it is hard, resistant to sunlight, stretches minimally, and does not melt, it is very popular in construction. It’s also very resistant to saltwater, which lends it to some marine tasks. Cotton rope is weaker than most other ropes, both natural and synthetic. However, it is soft, pliable, and easy to handle, making it perfect for small and light-duty applications. Wire rope is a type of rope made from metal alloys like steel. Steel wire rope is the most common wire rope type, as most alloys in the steel family are strong and corrosion resistant. To qualify as wire rope, the rope must be at least ⅜ inch. If it is any smaller than this, then you should call it a cord or a cable. Also, to qualify as wire rope, it must meet certain lbs weight restrictions. Rope suppliers manufacturer some speciality ropes that are application-specific, rather than fiber specific, such as twine, marine rope, elastic cord, and stair rope. Twine, or rope twine, is a thin, twist rope usually made from natural fibers like linen or cotton. Twine is commonly found around the house as clothesline or package typing rope and at butcher shops, where it is used to tie stuffed poultry together. It may also be used to make sporting goods like basketball nets. Marine rope is used for water, most often saltwater, related applications, like docking, boating, and pontooning. A good example of marine rope is watercraft mooring rope. Marine rope must be made from material that stands up against salt, water, and other elements, like nylon. Elastic cord is made for applications that need to be able to stretch. It can stretch up to 125% of its original length. Its multi-strand rubber core is covered in braided cotton or synthetic fibers like nylon or plastic. Stair rope is rope used for bannister or handrail applications. It may help people climb stairs, or it may just be there for decoration (e.g. rope lights). If the stair rope is made from metal, it may be called a cable railing. To offer you the best service possible, ropes come with a variety of accessory products. Examples of these products include rope clips, rope storage bags, and steel carabiners. To make sure a rope lasts and maintains both its usefulness and its safety, users must treat it with proper care. Care for your rope, and it will prove itself time and time again. Proper care for ropes entails a number of things, including proper usage, storage, and damage checks. •	Usage—Never put an amount of strain on your rope for which it is not equipped. Likewise, do not use your rope in environments for which it was not designed to endure. •	Storage—Always store your rope products in a dry and dark environment, up off of the ground. Prolonged exposure to either moisture or sunlight can weaken your rope over time or cause damage. When you store it, in order to avoid tangles, make sure to fold it in gentle loops; never just shove it in a corner. •	Damage Checks—Whenever you get out your rope, take some time to check it over for damage. Damage could be any number of things, but some of the common issues you may encounter are cuts, breakages, rot, or unraveling strands. If the cuts are small, you can likely still use your rope, but you may need to repair it first. To fix a cut rope, you can remove the damaged section with a knife or a pair of sharp scissors, or you can melt the cut with a candle or lighter. However, if your rope has a cut in the middle, you will likely have to replace it. Ropes are subject to different safety, quality, and characteristic standards, per their application and the location(s) in which they will be used. ASTM International, for example, puts out standards in regards to the characteristics of stranded carbon steel wire rope used for general applications. In the European Union, ropes must have the CE mark. In the United States, rope used for emergency services must be certified by the NFPA (National Fire and Protection Association). Also, in the U.S., ropes used in the workplace must also meet the standard requirements of OSHA (Occupational Safety and Health Administration). To learn about what safety standards your rope must meet, talk to your industry leaders and applicable governmental offices. 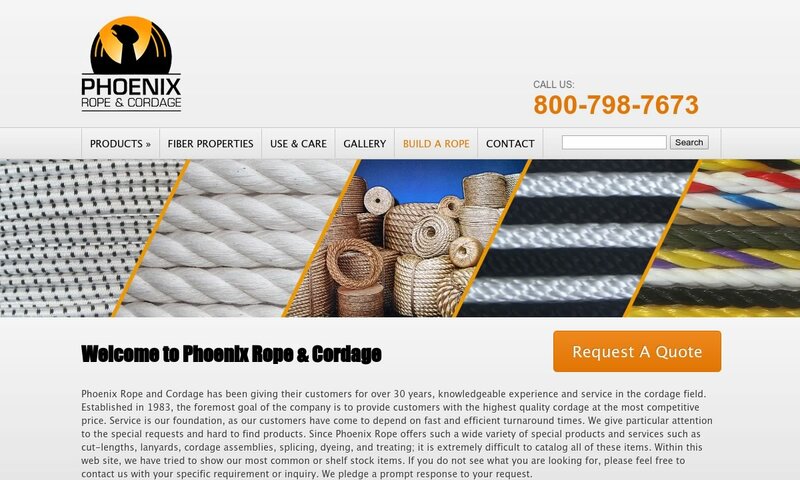 To get rope that is safe and meets your standard requirements, you need to work with an experienced rope manufacturer, such as those we’ve listed on this page.  The best way to approach your search is to start by writing down your specifications, requirements, questions and concerns. Don’t forget to include aspects like your budget, when you need the rope, and your delivery preferences. Once you’ve got your list, browse the rope suppliers we’ve sandwiched in between these information paragraphs. Based on your list, pick out three or four that you think could be right for you. Discuss your application with each of them, compare and contrast your conversations, and pick the one with whom you want to work. It’s as simple as that. Good luck!